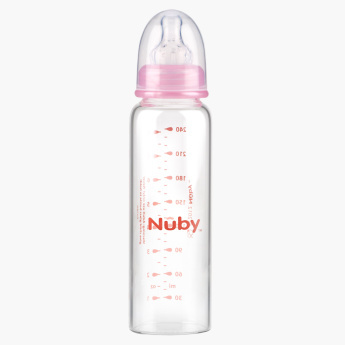 Nuby Printed Feeding Bottle - 240 ml | Orange | Anti-colic bottles to prevent baby from gas and colic. 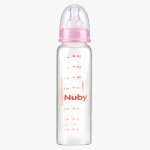 Feed your baby with ease even on the go with this attractive feeding bottle. The apt shape and size make it easy to carry the bottle in the bag. Made of non-toxic materials, this feeding bottle is safe for your baby. Feature 2 : Chemical free and non-toxic. Feature 1 : Anti-colic bottles to prevent baby from gas and colic.